With pride and delight, I present to you, Staruman the crochet sheep pattern. Staruman is a sheep, but of course a ram too. It is always hard to say which of the amigurumi’s I made is my favourite and it changes occasionally, but this one is very special for sure. The majestic horns and wooly texture of the loop chain stitches of the body make him unique and stunning looking. I had no experience at all with the chain loop stitch (twisted loop stitch) but it is so easy to do and worth the effort. 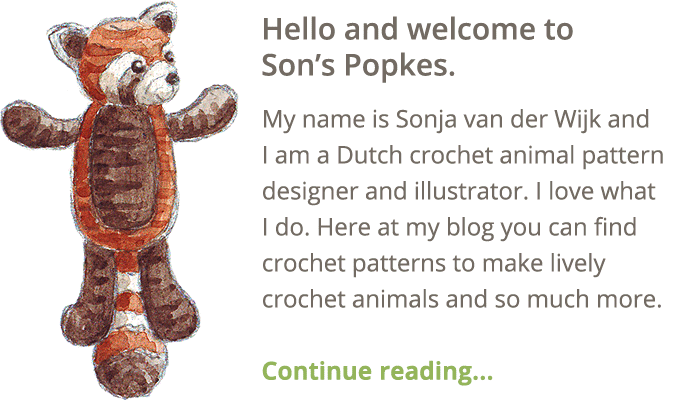 When I started working on this crochet animal, I had a clear image in my mind of how I wanted him to look. I knew the horns had to be partly worked in the back loops to create the lined structure and the body needed a special stitch too, something that would exaggerate the wooly coat. I started practicing with the loop stitch but didn’t like the result. The loops where thin and when cut the body looked like a pompom. I needed a bulkier, textured sort of loop. That is when I discovered the chain loop stitch. It is easier to make than a loop stitch, just takes more time because of the chains you make before each single crochet stitch. But the result is fabulous. And about the light spots behind the eyes. For a while now I’m trying to create a more subtile looking eye patch. For this sheep I found a very simple and effective solution and nothing needs to be sewed on, so it always looks the same. Staruman might look a bit more complicated than most of my patterns, but don’t let it fool you because he is just as easy to make. Crocheting the body and horns only takes a bit more time, that’s all. Here are a few more pictures of Staruman the crochet sheep and below them you can find info about and links to buy the pattern. 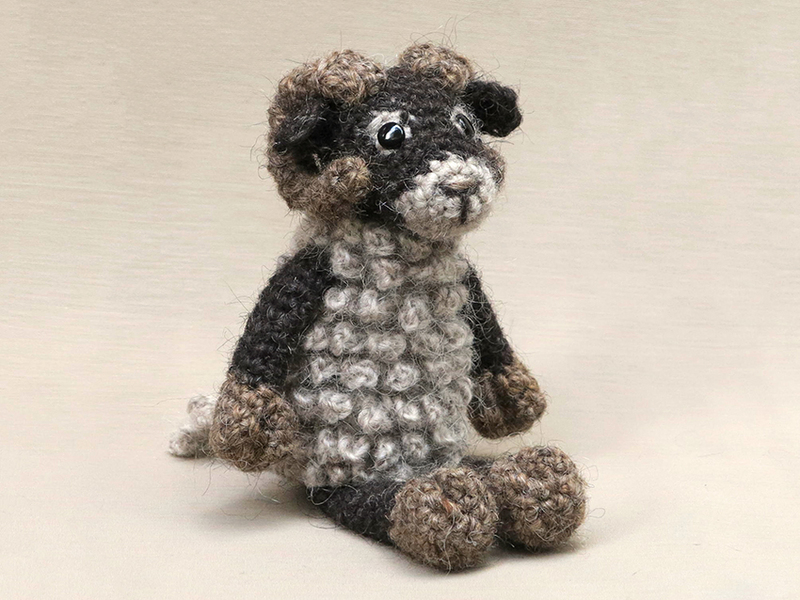 This impressive, cute and curly sheep is made with Istex Lett Lopi, a 100% wool. He is sitting 14 cm / 5.5 inch tall. 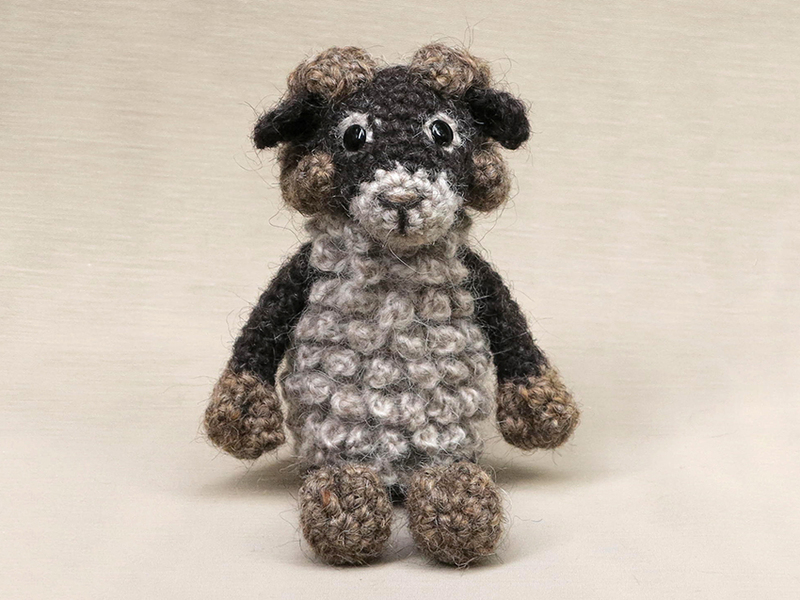 Despite his looks, he is quite easy to make and you can finish your sheep in a day or so. I strongly recommend using a fuzzy yarn because it gives the best result for both the eye patches and chain loop stitches. 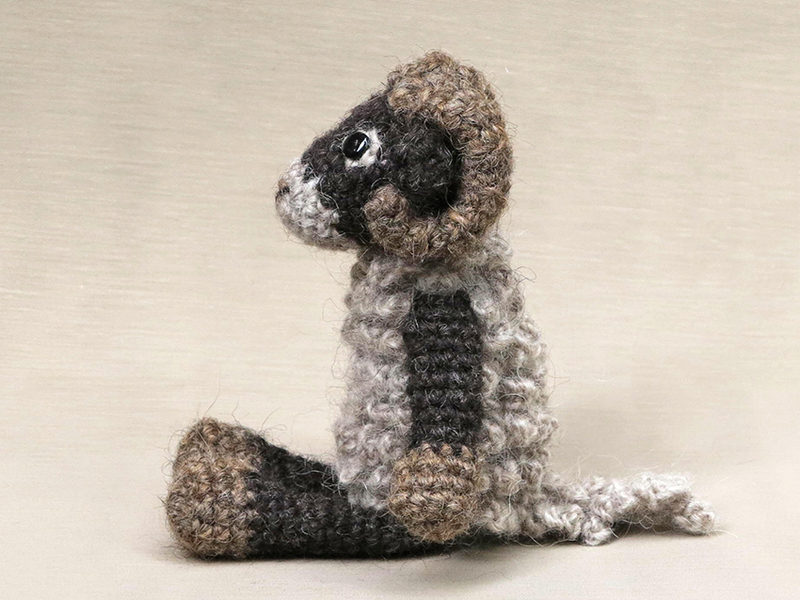 This crochet sheep pattern contains a clear and colour coded description of how to crochet and assemble the sheep, with extra illustrations and example pictures at the bottom to help you get everything right. 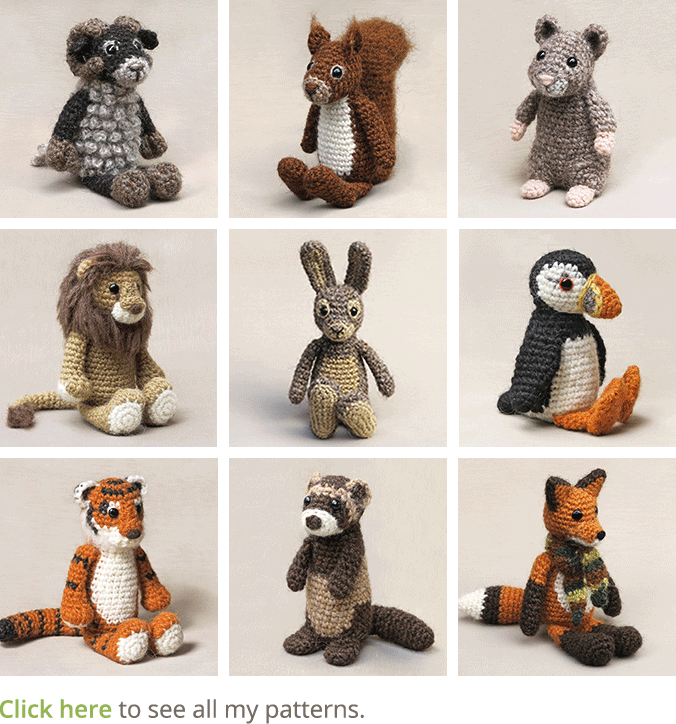 In the pattern you can also find what materials you need, the yarn colour numbers, in short, everything you need to know to make your own loopy friend. All the additional information you need to know about this pattern you can find in the shop listings. You can buy this pattern in my shop at Craftsy and in my shop at Ravelry or order it here. 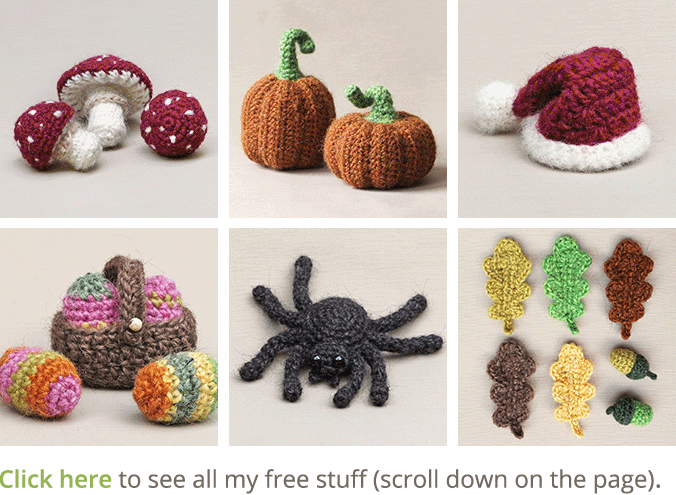 This pattern has a one dollar release discount till Friday the 16th!